Jamie Oleksiak, who will be playing in his first NHL game tonight, was named the AHL's rookie of the month for January after earning ten points in eleven games in the month. He had a gaudy plus-11 rating as well. The Stars have now earned rookie of the month in back-to-back months as Reilly Smith earned the honor in December. The American Hockey League announced today that Texas Stars defenseman Jamie Oleksiak has been selected as the CCM/AHL Rookie of the Month for January. Oleksiak tallied one goal and nine assists for 10 points along with a plus-11 rating in 11 games last month to help the Stars rise to the top of the Western Conference standings. Oleksiak scored a goal in a 5-2 win vs. Peoria on Jan. 5, and then tallied an assist each in consecutive victories over Houston on Jan. 6 and Jan. 11. After drawing an assist on the winning goal at Oklahoma City on Jan. 13, Oleksiak set a personal best with three helpers in the Stars’ 6-4 win at Chicago on Jan. 18, and assisted on the game-winner again as part of a two-point day at Rockford on Jan. 21. 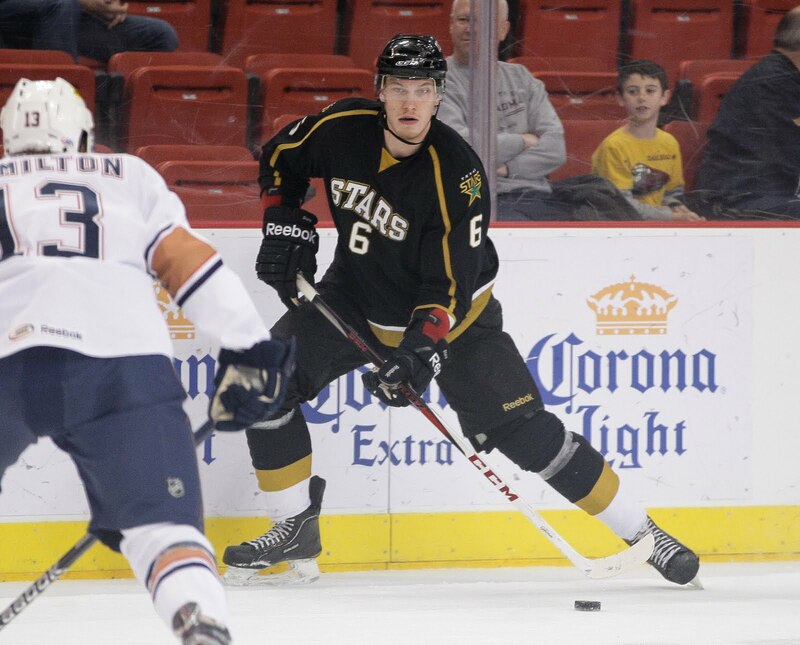 Oleksiak represented Texas at the 2013 Dunkin’ Donuts AHL All-Star Classic in Providence on Jan. 27-28, and earned his first career recall to the National Hockey League on Jan. 30. A first-round choice (14th overall) by Dallas in the 2011 NHL Entry Draft, Oleksiak has recorded three goals and a team-leading 20 assists for 23 points, along with a plus-12 rating, in 43 games for Texas this season. The 20-year-old Toronto native split last season between Saginaw and Niagara of the Ontario Hockey League, totaling 12 goals and 20 assists in 59 games. In recognition of his achievement, Oleksiak will be presented with an etched crystal award prior to an upcoming Stars home game.